Dr. Hans Binnendijk is currently a Senior Fellow at the SAIS Center for Transatlantic Relations and at the RAND Corporation. 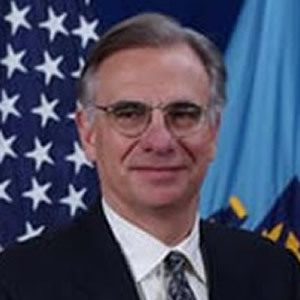 Until July 4, 2012, he was the Vice President for Research and Applied Learning at the National Defense University and Theodore Roosevelt Chair in National Security Policy. He also served twice as Director of NDU’s Institute for National Strategic Studies. From 2001 to 2009 he was the founding Director of NDU’s Center for Technology and National Security Policy. In the Executive Branch, Dr. Binnendijk served twice on the National Security Council staff: as Special Assistant to the President and Senior Director for Defense Policy and Arms Control (1999-2001) and as Director for Southern Europe Europe (1976-1977). 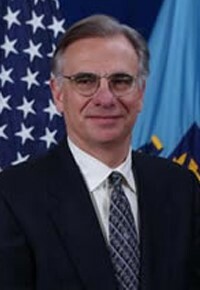 At the State Department, he was Principal Deputy Director and Acting Director of the Policy Planning Staff (1993-1994) and Director of the Center for the Study of Foreign Affair (1985-1987). He served at the Office of Management and Budget from 1974 to 1976, focusing on Asia and the Middle East. On the Hill, he was Deputy Staff Director and Legislative Director of the Senate Foreign Relations Committee from 1981 to1985 and a senior staff member of the Committee from 1977 to 1981. In academia, Dr. Binnendijk was Director of the Institute for the Study of Diplomacy at Georgetown University, where he was also the Marshall B. Coyne Professor at the Edmund A. Walsh School of Foreign Service (1991-1993). He was Deputy Director and Director of Studies at London’s International Institute for Strategic Studies and Editor of Survival from 1988-1991. Dr. Binnendijk is the author or co-author of more than 200 articles, editorials and published reports. His books include Transforming America’s Military (Editor: NDU Press, 2002), Transforming for Stabilization and Reconstruction Operations (Editor: NDUPress, 2004), Seeing the Elephant: The U.S. Role in Global Security (Co-author: Potomac Books: 2006), Civilian Surge (Editor: NDU Press: 2009), A Transatlantic Pivot to Asia (Editor: SAIS, 2014), Blinders, Blunders and Wars (Co-author: RAND, 2014), and Friends, Foes, and Future Directions (RAND, 2016). He speaks frequently on national security issues. Dr. Binnendijk serves as Chairman of the Academic Affairs Committee of the Fletcher School Board and until recently as Chairman of the Board of Humanity in Action. He previously served on the U.S. Committee of the International Institute for Strategic Studies, the Studies Committee of the Council on Foreign Relations, the CSIS International Research Council, and as a Senior Advisor to both the Atlantic Council and the Center for a New American Security. Dr Binnendijk has received three Distinguished Public Service Awards and a Superior Service Award for his service in the Executive Branch. He has also received the Cross of the Order of Merit from the Federal Republic of Germany. Dr. Binnendijk has championed many NATO reform efforts including NATO Enlargement, creation of the NATO Response Force, development of NATO’s Comprehensive Approach, deployment of NATO Battle Groups in the Baltic States, and a new NATO readiness initiative. Dr. Binnendijk is a 1968 graduate of the University of Pennsylvania, where he was alumni class vice president. He received his M.A.L.D. and Ph.D. (orals with distinction) in international relations from the Fletcher School of Law and Diplomacy, Tufts University.